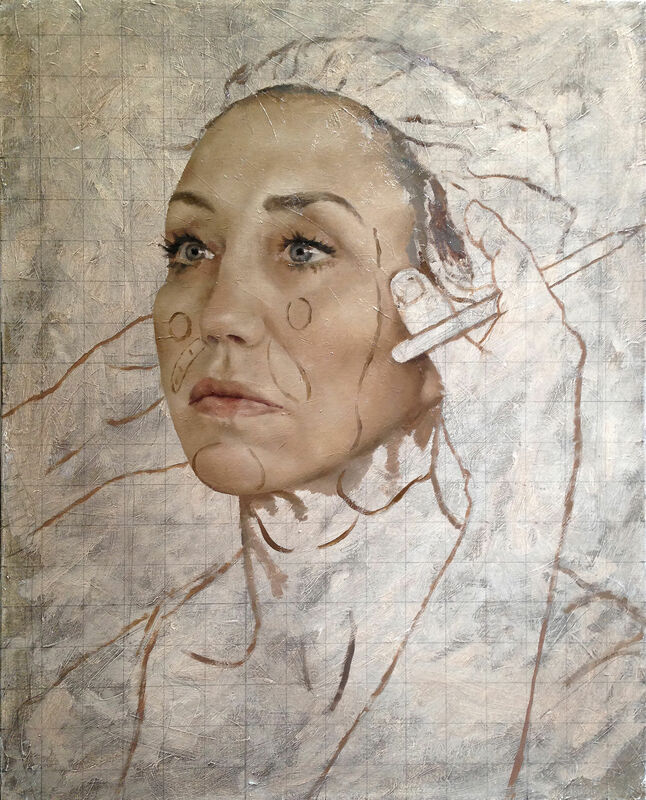 British artist Jonathan Yeo is highly regarded for his oil portraits of celebrities, including Nicole Kidman, Cara Delevingne, and Dennis Hopper – even David Cameron and members of the Royal family. 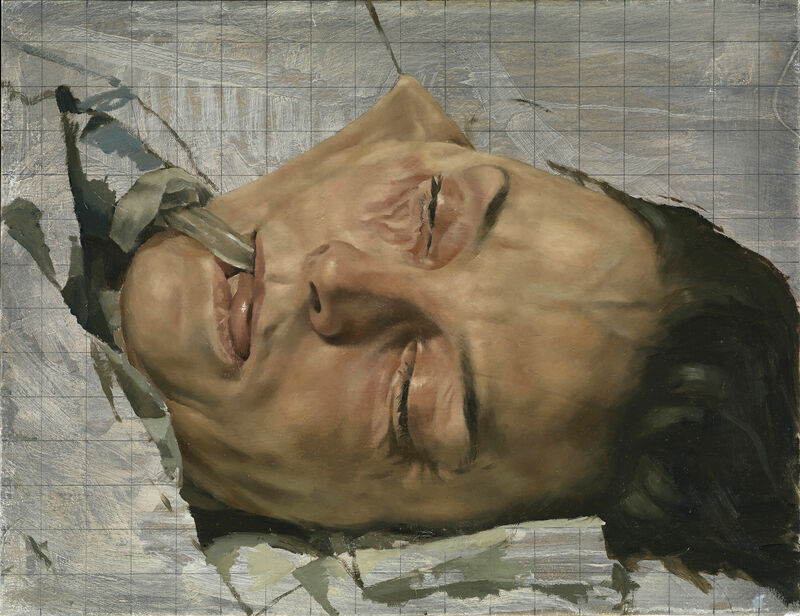 But his new UK exhibition at the Bowes Museum looks to explore the story behind one’s complexion and society’s love affair with cosmetic surgery, through the classical medium of oil paint. The result is a striking series juxtaposing a classical medium with a new cult – aptly named 'Surgery Series'. Whether it be a rhytidectomy or extended SMAS facelift, Jonathan's paintings explore our quest for physical perfection, and the current cosmetic surgery cult with his Skin Deep exhibition – the first major look at his new works, alongside well known and acclaimed works and recent oil paintings charting the latest developments in aesthetic enhancement. “Rather than shock tactics, I’m looking at the way we feel about subversive images of beauty, as the topic of plastic surgery is so subtle and nuanced, touching our ideals of beauty and body image as well as the complex psychology behind it,” Jonathan says. 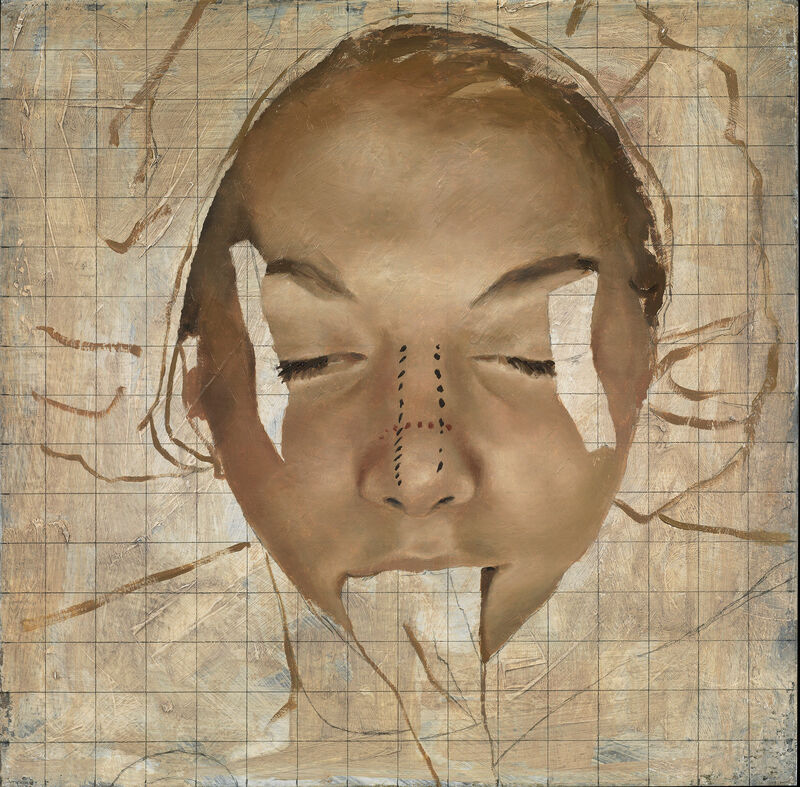 His slightly repulsive, which we’re sure is intentional, close-up paintings of different people under the chop derive from archival photos and observing cosmetic surgeons up front. The illustrations show patients in pre and post operative states, making some of them hard to look at for too long without feeling queasy. Jonathan draws links between a surgeon and a sculptor – a surgeon essentially sculpts bodies in the most fundamental essence of the job. "I’m documenting the artistry, as plastic surgeons really understand the structure of the human body. In the most fundamental way, they’re sculpting with bodies, and there’s an artistry, combined with a casual savagery, to the way they mark their patients before surgery," he says. Jonathan rose to international acclaim in his early 20s as a contemporary artist, having painted the likes of Damien Hurst, Prince Philip and David Cameron. His unauthorised 2007 portrait of George W. Bush, created from cuttings of pornographic magazines brought him worldwide notoriety, shown in London, New York and Los Angeles. His paintings are included within the permanent collections of the National Portrait Gallery, London, the Laing Art Gallery, Newcastle, The Museum of National History at Frederiksborg Castle in Denmark, and The Royal Collection. Skin Deep opens on March 10, and runs until June 17. Other accompanying events offer opportunity for audiences to explore the wider issues of body image.